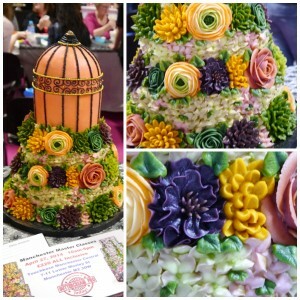 On Friday I was lucky enough to go to Cake International at Event City in Manchester. The largest sugarcraft and baking show of it’s kind, it’s the perfect event for baking nuts like me.The show was opened by Mary Berry and had other celebrities such as Mich Turner, founder of the Little Venice Cake Company making fabulous cakes in the demonstration theatres. 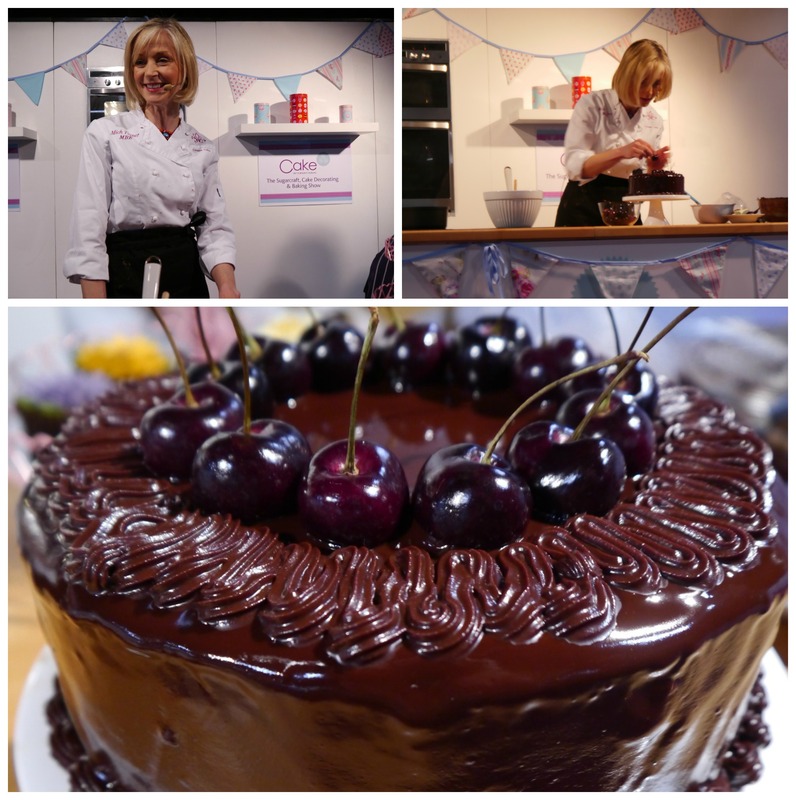 Mich appeared at the show throughout the weekend and demonstrated in both the cake international theatre (open to everyone) and the demonstration theatres which required additional tickets for entry. 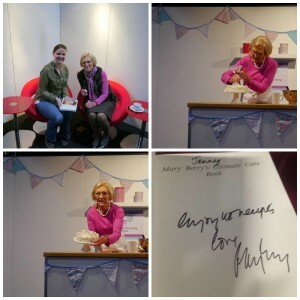 Straight after Mich’s demonstration Mary Berry was on stage – I was extremely lucky to get to meet her and the queen of baking has signed my copy of “Mary Berry’s Ultimate Cake Book” for me :D! Mary demonstrated a tiramisu sponge cake and some yummy looking granola bars for lunch boxes. Since reviewing some granola a few weeks ago I’ve been planning to try making my own and when I do I think I’ll also try these simple bars. 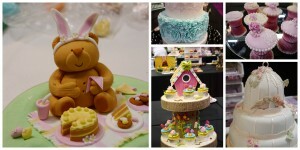 After the first demonstrations I did a bit of exploring around the event, the competition cakes were fabulous including a baby Oleg cake and a Cloudy with a chance of meatballs cake. I watched Caroline Hill from the Sugarcraft Guild demonstrate how to make a fondant bear and loitred around as the ladies from Queen of Hearts couture cakes taught a class on making amazing buttercream flowers. Here you see Caroline Hill’s fondant bear, 2 examples of cake lace from Cake Lace Ltd. on cupcakes and a tiered cake, a birdcage cake decorated with moulded fondant from Karen Davies Sugarcraft Ltd. (I was so tempted to buy the lace mould but I was on a strict budget), & a birdhouse surrounded by cupcakes which was a competition entry. In terms of new toys I treated myself to a kit to make cake lace snowflakes from which I’ll be using in June to make the Frozen cake my daughter wants for her birthday. I also bought some stencils and powders and an engraved rolling pin with a paisley design. Keep your eyes peeled over the next few weeks when I’ll be trying them out. I’m also planning to have a go at buttercream flowers after watching the Queen of Hearts Couture Cakes demo, I took some closeups of one of the cakes made to look like a birdcage, but I don’t think I’m quite at that level yet, the hydrangea and rose flowers that I saw done might have to do for now :). Cake International will be in ExCel, London from 10-12 April 2014 from 9:30-17:30 (sat 17:00). Mich Turner will be opening and appearing in the show on the Thursday and Friday. 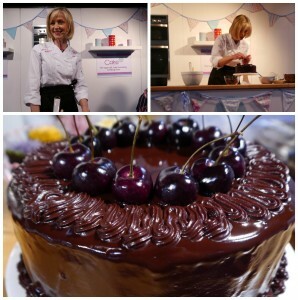 Chef Paul Da Costa Greaves will also be demonstrating a range of easy recipes for visitors to try at home. This entry was posted in Days out, Reviews. Rug doctor review: surviving potty training.